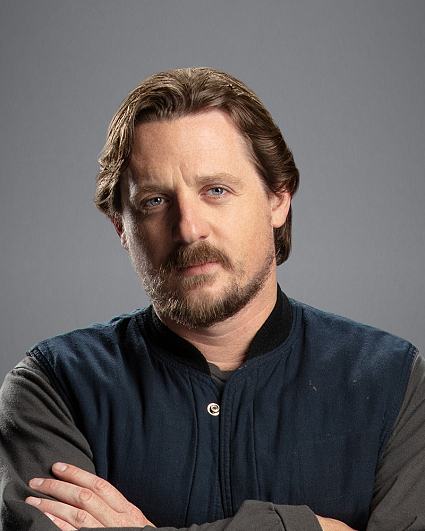 Sturgill Simpson has emerged as one of music’s most inspired and genre-bending artists. Each of Simpson’s three universally acclaimed solo albums explore different elements of American music history (bluegrass, country, rock, R&B, soul) and continue to push his work beyond expectations and musical boundaries. His most recent album, 2016’s self-produced A Sailor’s Guide to Earth, was written—beginning to end—as a letter to his first child and went on to garner industry-wide adoration including an award for Best Country Album at the 59th Annual Grammy Awards (he was also nominated for overall Album of the Year). Since the album’s release, Simpson has played sold-out shows across 12 countries and has performed on Saturday Night Live The Late Show with Stephen Colbert, The Daily Show with Trevor Noah, Conan, The Tonight Show Starring Jimmy Fallon, Late Night with Seth Meyers, and more. One Dollar marks Simpson’s acting debut.